Though they are arguably America’s most beloved pet (sorry, cat people), dogs often get the short end of the stick, so to speak, when it comes to their accessories. 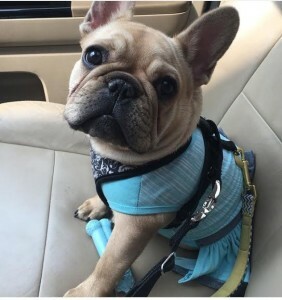 Summer is the season to give your pooch’s street style a boost: The time to toss your dog’s weatherworn retractable leash out for upgraded models such as Shinola’s colorful collar-and-leash sets is now. The same goes for making your dog’s house a home; while Fido may not register the sartorial benefits of, say, Henri Bendel’s ceramic bone-shaped dog bowl, or Horchow’s vintage-inspired striped dog bed, they’ll certainly make your kitchen floor look a lot chicer. As for the poshest pups, those who will only be toted in Louis Vuitton, then of course only the matching monogram collar will do.